Use actual samples instead of blackboard drawings for more precise definition. 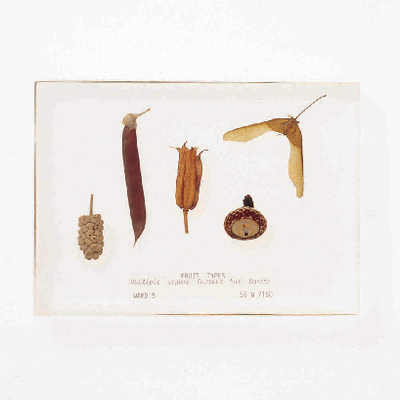 This mount is a collection of five fruit types: multiple, legume, capsule, nut, and samara. Size: 5" x 3" x 1 1/8".